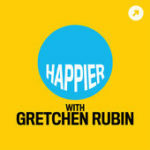 Gretchen Rubin is HAPPIER, and she wants you to be happier too. 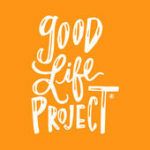 The #1 bestselling author of The Happiness Project and Better Than Before gets more personal than ever as she brings her practical, manageable advice about happiness and good habits to this lively, thought-provoking podcast. Gretchen’s cohost and guinea pig is her younger sister, Elizabeth Craft, a TV writer and producer living in Los Angeles, who (lovingly) refers to Gretchen as her happiness bully. To learn more, visit GretchenRubin.com. Part of the Panoply Network. Happy Anniversary to us! Gretchen Rubin and Elizabeth Craft are now one year happier, and we couldn't have done it without you. Let's look at how you, our listeners, have changed over the past year. And, we'll share some of the post popular Try This At Home's and favorite moments from the first year of the podcast. Gretchen's demerit this week is about fading away from a fun project. Liz's gold star goes to her son's grandparents. This episode was also sponsored by Boll and Branch. Go to bollandbranch.com today for 20% off your entire order of bedding. Gretchen Rubin and Elizabeth Craft have a trick for using the word 'meditation' to enhance boring situations. They also discuss the tricky but common stumbling block of parenting competitiveness. Then they share some listener ANSWERS to earlier questions about recipes, photos, artwork and family updates. Liz's demerit this week is about her less than perfect skin care routine. Gretchen's gold star involves a wonderfully empathetic listener, and some tips about how we can all become better listeners ourselves. This episode was also sponsored by Smith and Noble. Gretchen Rubin and Elizabeth Craft ask themselves, "What happens if I ignore this?" and notice that a lot of potential anxieties never bubble up just by asking this simple phrase. Then they are joined by author and co-creator of the Whole 30 diet program, Melissa Hartwig, to discuss some strategies for jumpstarting your eating habits. And of course Gretchen's demerit, which involves a duvet cover, and Liz's gold star about reality TV. Gretchen Rubin and Elizabeth Craft have been there -- that awkward situation when you can't remember the name of someone who you've definitely met before. Don't worry, they have a whole bunch of tips for gracefully maneuvering out of those sticky spots. They also discuss the Better Than Before habit strategy of safeguarding your good habits, a listener question about the stress of ignoring phone calls from loved ones, plus Liz's demerit and Gretchen's gold star. This episode was sponsored by The Great Courses Plus. To stream The Fundamentals of Photography from The Great Courses Plus for free go to thegreatcoursesplus.com/HAPPIER. This episode was also sponsored by Stamps.com. Gretchen Rubin and Elizabeth Craft have a counterintuitive method for making friends: asking for a favor. They also discuss the Know Yourself Better dichotomy of Cooperation v. Competition. Plus, a listener question about saving great articles and recipes efficiently, Gretchen's demerit and Liz's gold star.